Following the reciprocal recognition on the rapid development growth in both Asia and Europe, especially in Asia, as well as the need to further foster relationship, cooperation and stronger ties between the two continents, France and Singapore, the first two founders of Asia-Europe Meeting (ASEM), held a talk in November 1994 and proposed the launching of Asia-Europe Summit. After two years, the inaugural ASEM summit was launched in March 1996 in Bangkok, Thailand. 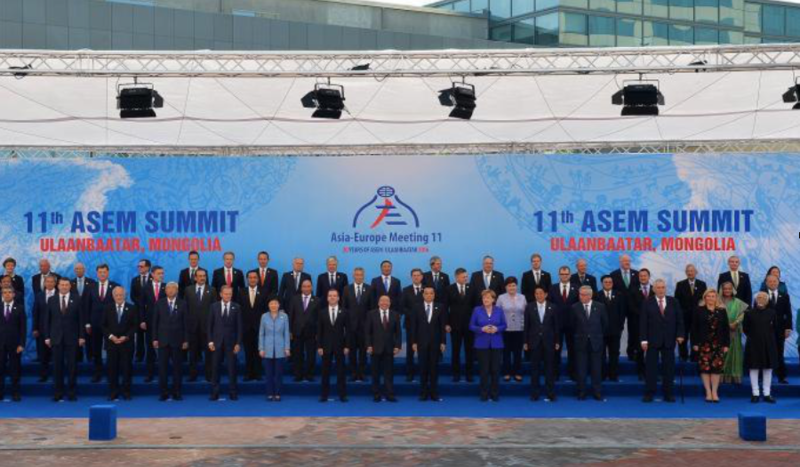 As a unique and informal platform for dialogue and cooperation between countries in Asia and Europe, ASEM aims at strengthening partnership, promoting peace and security and enhancing sustainable socio-economic development with main focus on three pillars: political and security, economic cooperation and social-cultural exchanges. Asia-Europe Meeting (ASEM) is now comprised of 53 partners including 21 countries of Asia (with 10 ASEAN member states), 28 EU member states and 2 Non-EU member states (Norway and Switzerland), ASEAN Secretariat and European Commission. 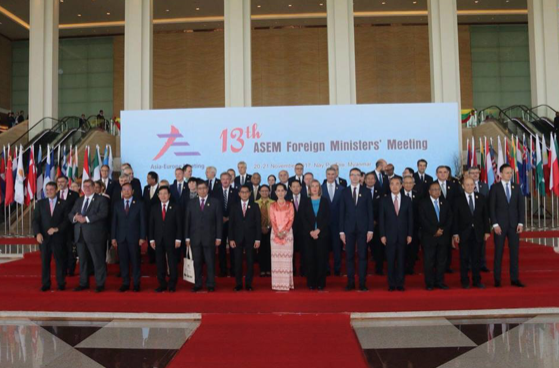 Cambodia became a member of ASEM on the occasion of the 5th ASEM Summit held in Hanoi, Vietnam on 08 October 2004. Summits: attended by Heads of State and Government of the European and Asian countries, the Presidents of the European Council and of the European Commission, and the ASEAN Secretary General. They serve as the highest level of decision-making in the ASEM process, and are held every two years, alternating between Asia and Europe. Foreign Ministers’ Meeting(FMM) : attended by Ministers of Foreign Affairs of the European and Asian countries, High Representative of the European Union for Foreign Affairs and Security Policy, and the ASEAN Secretary General. They have the responsibility for the overall coordination of the ASEM process and are a driving force of the ASEM political dialogue.​ They meet every two years in between the ASEM Summit. Other Ministerial Meetings: Economic, Finance, Environmental, Culture, Transport, Labour and Employment, Education, Science and Technology, ICT, Small and Medium Enterprises ministers meet on a regular basis to discuss issues of mutual concern. Additional ministerial conferences are held irregularly on specific issues and areas that are not covered by the main ministerial meetings. Senior Officials’ Meeting(SOM): Since ASEM has no secretarial, SOM brings together high-level civil servants from the Foreign Ministries of all ASEM partners for the overall coordination of the ASEM process. Sectoral SOMs are also held in preparation of the various Ministerial meetings. Regular dialogues e.g. Customs General Directors’ Meeting; Conference of General Directors of immigration; Informal Seminar on Human Rights: Rectors’ Conference; Mayors and Governors Meeting. Ad Hoc activities: Sustainable Development, nuclear safety, disaster is reduction, biodiversity, youth, employment, others. ASEM sets up Asia-Europe Foundation (ASEF) in order to foster ASEM public awareness and visibility. Established on 15 February 1997 in the Ministerial Declaration of the 1st ASEM Foreign Minister Meeting (FMM1), ASEF is aimed at promoting understanding, strengthening relationships and facilitating cooperation among the people, institutions and organizations of Asia and Europe. ASEF receives financial contribution from all members annually on the voluntary basis. 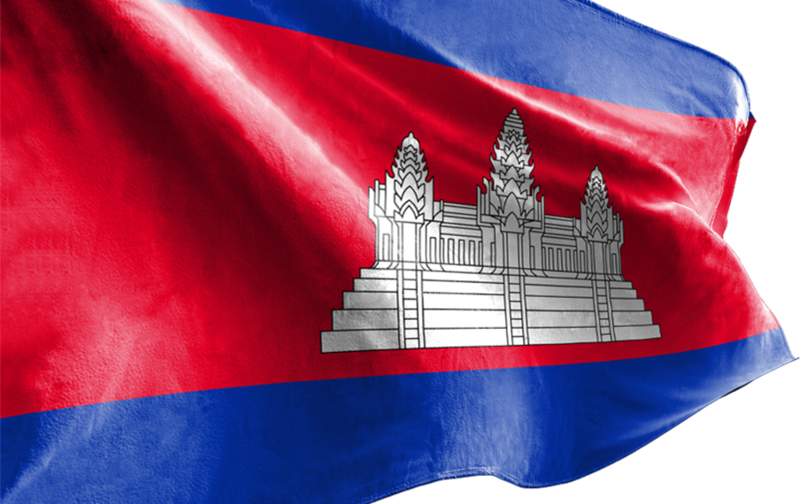 Since becoming an ASEM member, Cambodia has gained much benefit. Firstly, ASEM provides Cambodia an excellent venue to promote Cambodia’s image in the international arena. Secondly, it is an opportunity to strengthen its bilateral cooperation with other members through high-level meetings of ASEM and boost tangible areas of cooperation for development of Cambodia’s economy, including exchanges of trade, investment, and tourism etc. Thirdly, ASEM has contributed to the development of Cambodian human resources both private sector and public. Fourth, ASEM connectivity is a most vibrant one for Cambodia to promote its people to people exchanges in an increasing inter-connected Asia-Europe regions. As a member of ASEM, Cambodia has contributed an annual budget of USD 10,000 to ASEF since 2005. Cambodia always takes part in ASEF process by assigning delegates to attend ASEF related projects. 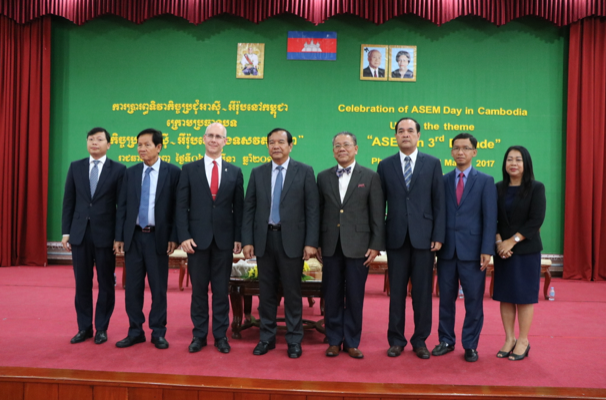 In cooperation with ASEF, Cambodia hosted a seminar on the occasion of ASEM Day under the theme “ASEM in 3rd Decade” on 06 March 2017 to promote ASEM and ASEF visibility and to strengthen cooperation between Cambodia institutions and ASEF.